These days, you don’t have to go to your doctor or an STD testing clinic to get an STD test. There are far more confidential ways to know your sexual health status. I’m talking about at-home STD testing kits. They provide convenience, privacy and, in most cases, just as much accuracy as a traditional STD test in a clinic. They are also great for those who want to test regularly since you can test as often as you want from the comfort and privacy of your home. If you are thinking about buying an at-home STD testing kit, here’s what you need to know about them. These tests are great for those who want a high-accuracy test. Since the test is conducted in a certified laboratory, you get the same accuracy as a clinic test. 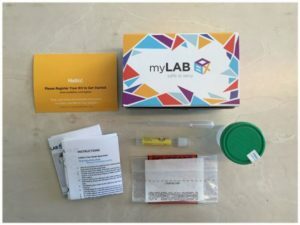 You order the test online from a company like myLabBox.com. You’ll receive a sampling kit in your mail in a day or two. The package will be unmarked with no indications of what’s inside to protect your privacy. Take a sample from the comfort and privacy of your home. 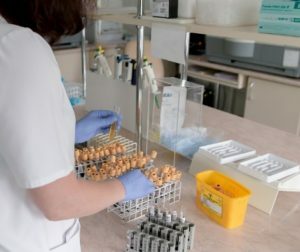 The type of sample will depend on the STD to be tested. Secure the sample and mail it back to the lab for testing. Wait 2-5 days for your results. Most companies post the results in your secure online account. Others send you the test report by mail. Read the results. If you have questions or need clarification, most companies provide a 24/7 support line. If you want quick results, get a rapid STD test. These provide results in a few minutes. You don’t have to go to a lab or wait for days to get your results. You order the rapid test kit online. The kit will be sent via mail. Take a sample. This can be blood, urine or a swab depending on the type of test. Following the provided instructions, test the sample. This usually involves dipping the strip into a solution or adding a buffer to the blood sample. Wait for the recommended number of minutes to get your results. If the result is negative, get a follow-up test after around 3 months. If it is positive, get a repeat test at a lab to confirm it. 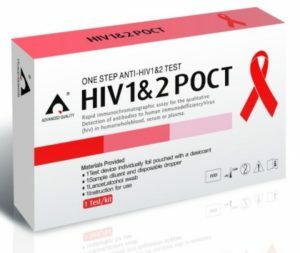 Companies sell home STD test kits in packs. Chlamydia and gonorrhea tests are usually sold together because they tend to infect you at the same time. You can also get chlamydia, gonorrhea and syphilis pack, a hepatitis B and C pack or a complete pack with tests for all the common STDs including HIV. STD test packs are great if you are doing a regular checkup rather than testing a specific STD. But if you are only concerned about exposure to a certain STD, most companies also sell single tests. At-home lab tests are the most accurate because the test is done in a lab. But rapid test kits are accurate too most of the time. The risk of a false negative or positive is relatively low unless you test too soon after exposure. If the STD is still in the window period the test may read negative even though you are infected. That’s why it is important to get a repeat test whether you test negative or positive. If it is positive, get a repeat test immediately. If it is negative, wait for a few weeks before getting another test. You’ll spend as little as $30 on a single rapid test and less than $100 for multiple tests. At-homelab tests are a bit more expensive but still cheaper than going to the doctor’s office where you probably have to pay extra costs for consultation. In addition to being cheaper, they also provide more privacy. 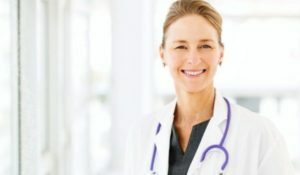 If you are not comfortable with the idea of discussing your condition with a doctor, these tests are perfect for you. If you are on a low budget, you could always go to a free clinic. But free clinics don’t provide as much confidentiality and may not test for all STDs. ← HIV Testing At Home – What to Expect?